The Atari 7800 or the Atari 7800 ProSystem as it was also known, reached our stores in 1986 and was to be the successor to atari’s flop, the Atari 5200. 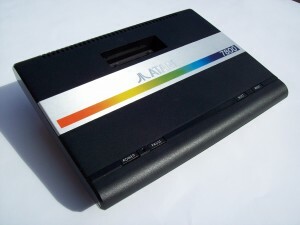 The project was originally to be called the Atari 3600, but it was later thought its designation needed higher than that of the 5200 so before its release it was changed to the Atari 7800. (atari 2600 + 5200 = atari 7800). The Atari 7800 ProSystem was the first game system from Atari Inc. The system was designed by an outside company, General Computer Corporation (GCC) in 1983 through 1984 with an intended mass market rollout in June 1984, but was cancelled shortly thereafter due to the sale of the company to Tramiel Technology Ltd on July 2, 1984. Released in Southern California in June 1984 the system was accompanied with thirteen well known game cartridges:- DigDug, Galaga, Centipede, Pole Position II, Ms. Pac-Man, Joust, Desert Falcon, Track & Field, Food Fight, Ballblazer, Robotron 2084, Xevious and one of my personal favorites Rescue from Fractalus! . . .
Regrettably, the atari 7800 was put on hold and gathered dust on warehouse shelves until it was re-introduced in January 1986 withtelevision commercials to promote the system but unfortunately they never really helped and even more so due strong sales of the Atari 2600 the previous Christmas. The main problem was Atari’s launch of the 7800 under Tramiel was far more subdued than Warner had planned for the system in 1984 with only a marketing budget of $300,000. A great deal of thought had been put into the design of the Atari 7800. The system was released with the game ‘Asteroids’ built-in which was a nice touch. The fact that the console was backward compatible with the Atari 2600 whereas the Atari 5200 was not. Items like a keyboard were developed, that had an expansion port (which was the SIO port from Atari’s 8-bit computer line, though the 7800 could not run Atari computer programs) allowed for the addition of peripherals such as disk drives and printers. To enhance the gaming experience further, a ‘high score cartridge,’ was to be introduced which is basically a battery-backed RAM cartridge designed for storing game scores. On the side of the some versions of the 7800 was an expansion port, reportedly for a planned connection with a Laserdisc player. Unfortunately, the keyboard and high score cartridge were later cancelled, the expansion port was removed from later production runs of the system and, in lieu of new titles, the system was launched with titles intended for the 7800’s debut in 1984. Graphics for the system are generated by a custom Graphics Processing Unit (GPU) called MARIA (a name chosen to represent its succession from the Atari 2600’s graphics and sound chip, TIA … TIA-MARIA). The 7800 featured the ability to move around a tremendous amount of objects (75-to-100) that far exceeded previous consoles plus a palette of 256 colours made for some great gaming . . . While side-scrolling games in the vein of Super Mario Bros. are possible on the system (1990’s Scr apyard Dog is probably the best example). It is significantly harder to develop such a title than on a tile-based system such as the Nintendo Entertainment System. The graphics are generated by a custom Graphics Processing Unit called MARIA (a name chosen to represent its succession from the Atari 2600’s graphics and sound chip, TIA … TIA-MARIA). 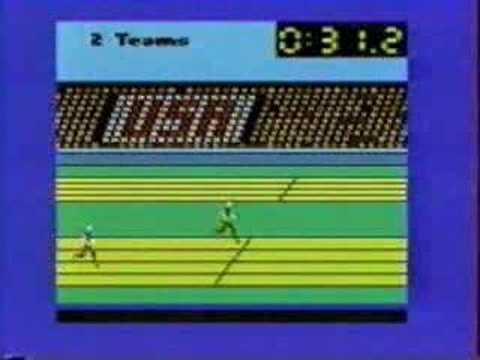 The sound from the atari 7800 was to be it’s achilles heel. The problem was that the sound generated was virtually the same as that of the atari 2600 giving the console just two channels to create sound effects and music. When you think, the atari 2600 was over a decade older that the 7800 from 1977! A low-cost, high performance sound chip called GUMBY, which could also be placed in 7800 cartridges to help enhance its sound capabilities further. This would have been one great solution for the 7800 but unfortunately it was cancelled when Atari was sold to Jack Tramiel so GCC engineers used a different chip called POKEY to overcome this. Despite having the capability to support sound chips in cartridges, almost no 7800 cartridges feature POKEY hardware for enhanced sound. Ballblazer, released in 1987, uses the POKEY to generate all music and sound effects. Similarly, Commando, released in 1989, uses a POKEY to generate in-game music while the TIA generates the game’s sound effects for a total of 6 channels of sound. Following the debate over ‘Custers Revenge’ (refer to Atari 2600) an Atari 2600 VCS title with adult themes, Atari had concerns over similar adult titles finding their way onto the 7800 and displaying adult graphics on the significantly improved graphics of the MARIA chip. To combat this, they included a digital signature protection method which prevented unauthorized 7800 games from being played on the system. When a cartridge was inserted into the system, the 7800 BIOS included code which would generate a digital signature of the cartridge ROM and compare it to the signature stored on the cartridge. If a correct signature was located on the cartridge, the 7800 would operate in 7800 mode, granting the game access to MARIA and other features. If a signature was not located, the 7800 remained in 2600 mode and MARIA was unavailable. 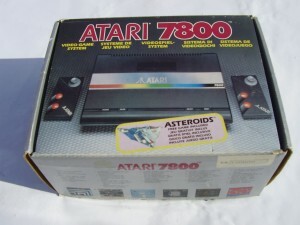 All 7800 games released in North America had to be digitally signed by Atari. This digital signature code is not present in PAL 7800s, which use various heuristics to detect 2600 cartridges, due to export restrictions. Sound: TIA video and sound chip, same as the 2600. Only the sound is used in 7800 games. Both video and sound are used in 2600 games. I feel lucky to own a console like this due to it being boxed, complete and in pristine condition. I have owned this 7800 for many years and it has only been used no more that a few times and it still has its protective cover over the silver label. To sum up the atari 7800, by January 1992 over 3.5 million unit had been sold in the US alone. Despite not reaching its full potential and with its minor flaws, the atari 7800 really is a great console and is one that takes me back to an era when ‘Video Arcades’ dominated the gaming industry and to a time when some of the greatest gaming titles ever, were born! . . . Growing up this system was all I played except for one year of the NES. For 5 years my brother Stanley and I would compete for high scores. Sure we saw the NES but we longed for the arcade action of the 7800. We had every game thanks to Garage sales! This system and its arcade style games completely saturated my dreams and I even skipped school and homework to play these games!